Greenville, SC -- Jun 18, 2015 / (http://www.myprgenie.com) -- Christina LeBoeuf, a licensed health care practitioner, opened Carolina Holistic Health LLC in Greenville, SC, in October 2014. The clinic offers safe, effective and chemical free traditional and modern therapies to promote the body’s innate self-healing abilities. 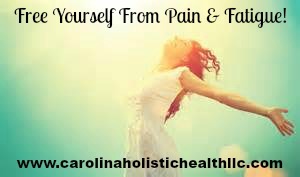 Carolina Holistic Health LLC offers a unique approach to holistic healing by enhancing the ancient practice of Acupuncture and traditional herbal therapies with modern technologies such as Thermography, Electro Lymphatic Drainage, hormone testing, essential oils, the Fisher Wallace device, micro current and biofeedback techniques. Christina LeBoeuf more recently trained with Dr. Sara Gottfried on ‘The Hormone Cure’ protocol and is certified by Dr. Norman Shealy in Transcutaneous Acupuncture from the Holos Institutes of Health. These therapies offer scientific, reproducible, and verifiable relief from lymphatic congestion, sinus pain and pressure, allergies, stress, general pain symptoms, inflammation, infertility, digestive woes, fibromyalgia, insomnia, PMS, hormone imbalances, depression, anxiety, neuropathy, edema, free radicals, osteoporosis, headaches, muscle tension and more. Christina LeBoeuf; Lic. Ac, MAOM, CCT, CLDT, has been practicing Chinese Medicine for over ten years. She sold her clinic in Northern New York to start up a new clinic in a warmer climate. Christina LeBoeuf opened Carolina Holistic Health LLC in Greenville, SC, in October 2014. It is her hope to expand her clinic to include several more modalities and services by the end of this year.